The CEO Water Mandate works with a wide range of government, UN agency, and civil society partners to strengthen its research and guidance and to help ensure its work is implemented meaningfully on the ground. These partners have been critical in developing and spreading water stewardship practice around the world. In some cases, these partners are critical members of Mandate project teams. In other cases, the Mandate Secretariat serves on these initiatives’ governance boards or they serve as special advisors to the Mandate’s Steering Committee. Here we describe these important partners and their work. The Alliance for Water Stewardship (AWS) is a multi-stakeholder organization dedicated to enhancing water stewardship capacity, and guiding, incentivizing and differentiating responsible water use. AWS employs three mutually-reinforcing programs to drive improved water stewardship: a standard and verification system, membership of a multi-stakeholder association, and training. Together, these programs are designed to build capacity and provide a forum through which knowledge on water stewardship can be generated, accessed and shared, helping us to address our shared water challenges. At the heart of all three programs is the stakeholder-endorsed AWS Standard. CDP uses the power of measurement and information disclosure to improve the management of environmental risk. By leveraging market forces including shareholders, customers and governments, CDP has incentivized thousands of companies and cities across the world’s largest economies to measure and disclose their environmental information. We put this information at the heart of business, investment and policy decision making. 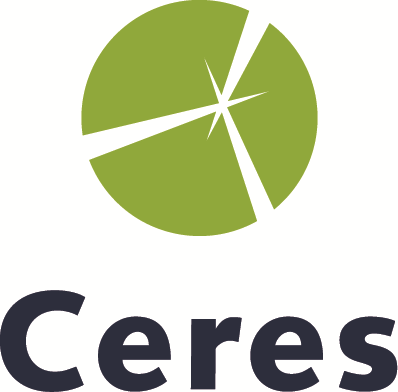 Ceres is a nonprofit organization mobilizing business and investor leadership on climate change, water scarcity and other sustainability challenges. Ceres directs the Investor Network on Climate Risk, a network of over 100 institutional investors with collective assets totaling more than $13 trillion. For more information, visit www.ceres.org or follow Ceres on Twitter @CeresNews and @ValueEveryDrop. GIZ offers customized solutions to complex challenges. We are an experienced service provider and assist the German Government in achieving its objectives in the field of international cooperation. We offer demand-driven, tailor-made and effective services for sustainable development. The Interfaith Center on Corporate Responsibility is a coalition of faith and values-driven organizations who view the management of their investments as a powerful catalyst for social change. Its membership comprises nearly 300 organizations including faith-based institutions, socially responsible asset management companies, unions, pension funds and colleges and universities that collectively represent over $200 billion in invested capital. Working alongside public bodies, enterprises and civil society, the International Water Stewardship Programme identifies measures aimed at reducing shared water risks. The programme initiates and sets up partnerships between the three different types of stakeholders, and coordinates these with the support of GIZ bilateral and regional water programmes. The mission of The Nature Conservancy is to conserve the lands and waters on which all life depends. Its vision is a world where the diversity of life thrives, and people act to conserve nature for its own sake and its ability to fulfill our needs and enrich our lives. PEGASYS is a multidisciplinary strategic management consulting group specializing in emerging economies. PEGASYS has an extensive track record across Africa, coupled with a global profile through our staff of international experts and a growing presence in the developing world. We are a trusted advisor on climate change, green growth, resilient economies, low-carbon development, natural resources management (particularly in the water sector), sustainable transport, and public infrastructure. The team at PEGASYS bring to clients our expertise involving intellectual, technical, financial, policy, legal, and institutional skill-sets, especially within the context of the public and private sectors in the rapidly changing African setting. At its core, PEGASYS provides consultancy and advisory services across the development value chain: thought leadership, scenario planning, policy and legislation, strategy, financial structuring, institutional structuring, business planning, implementation support, stakeholder engagement, and capacity building. With offices in 157 countries and more than 195,000 people, we are among the leading professional services networks in the world. We help organisations and individuals create the value they’re looking for, by delivering quality in assurance, tax and advisory services. Revolve Water is a non-profit association dedicated to advancing environmental sustainability with a focus on communicating the value of water. Our mission is to identify, encourage and implement innovative solutions for citizens, companies and cities to become more sustainable in their water and energy usage. Ross Strategic is dedicated to tackling environmental, public health, transportation, energy, and natural resource challenges. Our clients – public institutions, private business, not-for-profit organizations, and foundations – turn to us for our ability to use ideas and information to shape strategy, design programs and policies, and evaluate performance. We have a reputation for responsive, insightful, and well-crafted advice that helps today’s environmental and natural resource organizations face the opportunities presented by these challenges. Shift is the leading center of expertise on the UN Guiding Principles on Business and Human Rights. Founded in 2011, Shift’s team of experts works globally with businesses, governments, civil society and international organizations to embed the Guiding Principles into practice. Shift was established following the unanimous endorsement of the Guiding Principles by the UN Human Rights Council, which marked the successful conclusion of the mandate of the Special Representative of the UN Secretary-General for Business and Human Rights, Professor John Ruggie. Our team was centrally involved in shaping and writing the UN Guiding Principles, and Professor Ruggie is Chair of our Board of Trustees. UN-Water is the United Nations inter-agency coordination mechanism for all freshwater and sanitation related matters. Building on a long history of coordination in the UN System, UN-Water was formalized in 2003 by the United Nations High Level Committee on Programmes. It provides the platform to address the cross-cutting nature of water and maximize system-wide coordinated action and coherence. UN-Water promotes coherence in, and coordination of, UN system actions aimed at the implementation of the agenda defined by the Millennium Declaration and the World Summit on Sustainable Development as it relates to its scope of work. Through UN-Water the United Nations act as “One UN”. The scope of UN-Water’s work encompasses all aspects of freshwater, including surface and groundwater resources and the interface between fresh and sea water. Water Footprint Network provides science-based, practical solutions and strategic insights that empower companies, governments, small-scale producers and individuals to transform the way we use and share fresh water within earth’s limits. Founded in 2008 by the University of Twente, WWF, UNESCO-IHE, World Business Council for Sustainable Development, International Finance Corporation, Netherlands Water Partnership and Water Neutral Foundation, we are a dynamic, international learning community. Water Witness International is a charity which works to improve the way that rivers, streams, lakes and aquifers in developing countries are managed. We carry out targeted research and advocacy, and take action to deepen understanding, share knowledge and ensure accountability to advance an equitable and sustainable water future for all. World Resources Institute (WRI) is a global research organization that spans more than 50 countries, with offices in Brazil, China, Europe,India, Indonesia, and the United States. Our more than 450 experts and staff work closely with leaders to turn big ideas into action to sustain our natural resources—the foundation of economic opportunity and human well-being.